Research conducted on behalf of testing and certification company SGS has suggested that the UK’s public sector organisations are falling well behind their private sector counterparts when it comes to health and safety. 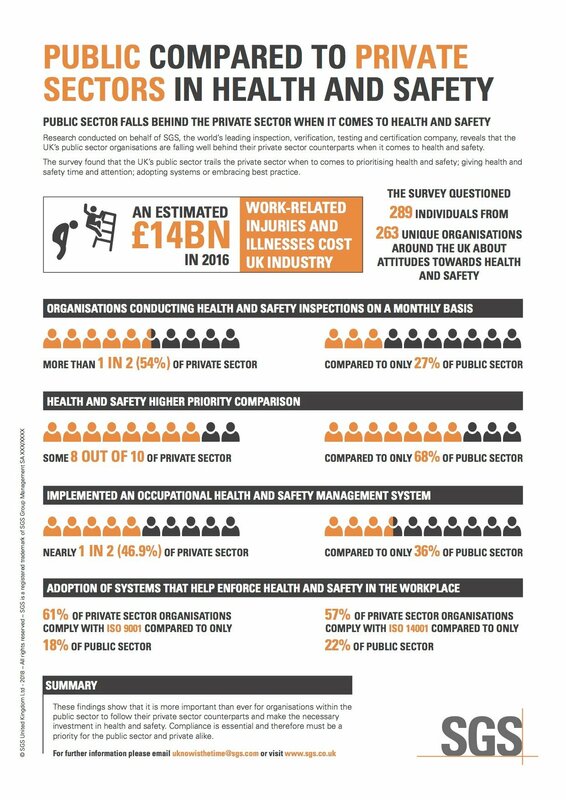 The survey found that the UK’s public sector trails the private sector when to comes to prioritising health and safety; giving health and safety time and attention; adopting systems or embracing best practice. In some areas of health and safety practice the study found that the gulf between the public and private sector is considerable and provides cause for concern given the increasing importance that organisations must place on ensuring staff are able to work in a safe environment. Work-related injuries and illnesses cost UK industry an estimated £14 billion in 2016. 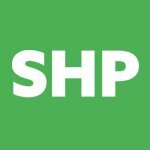 The survey questioned 289 individuals from 263 organisations around the UK about their attitudes towards health and safety. The participants were a broad range of individuals – from Chief Executives to Administrators, Human Resources to Health and Safety. Respondents were asked about the measurements put in place to monitor health and safety risks; the barriers, if any, to effective occupational health and safety management; where overall responsibility for health and safety lies; and how much engagement there is with wider staff. The survey revealed a gulf between the public sector and private sector in terms of dedicating time and attention to health and safety. While more than one in two (54%) of private sector organisations claim to conduct health and safety inspections on a monthly basis, this compares to only 27% of public sector organisations. Indeed, the survey suggests that health and safety is a higher priority for those in the private sector than the public sector. Some eight out of 10 private sector organisations say that health and safety has a high priority within their overall risk management framework, while the equivalent number for public sector organisations is lower, at 68%. When it comes to embracing good health and safety practice, nearly one in two (46.9%) of private sector organisations have implemented an Occupational Health and Safety Management System which supports its risk management strategy and protects workers. Yet the same figure for public sector organisations is only 36%. One of the largest differences between the public and private sectors, however, relates to the adoption of systems that help enforce health and safety in the workplace. While a good majority (61%) of private sector organisations comply with ISO 9001, for example, only 18% of public sector organisations do so. Compliance with ISO 14001 is also far higher in the private sector (57%) than the public sector (22%). The survey comes at a time where the notion of health and safety has been widened to not only refer to the safety of equipment and working conditions, but also the physical and mental health of employees. Meanwhile, increased scrutiny, wider prosecution of violations, plus a changing legislative environment serve to place an even higher priority on health and safety. “Increasingly, organisations need to consider internal factors such as staff training, alongside external forces such as changes to legislation and the emergence of new technologies in the workplace”, said Kate Breslin, Product Manager of SGS. ‘Public sector falls behind the private sector when it comes to health and safety’ Research conducted on behalf of testing and certification company SGS has suggested that the UK’s public sector organisations are falling well behind their private sector counterparts when it comes to health and safety.